An engagement should certainly be celebrated! After all, this is a once in a lifetime milestone within your life, and it will be over in the blink of any eye, as you will soon be wed. So, to truly embrace your new relationship status, you will want to capture a stunning set of engagement photos. -Highlight Your Hobbies. You and your partner must have hobbies that you enjoy taking part in together. So, show them off! If you have a love of sports, bring along your football and have your images captured on the field. Or, if you play instruments, serenade one another throughout your photos. The opportunities are truly endless! -Showcase Your Love. There is no bond more beautiful than the one you share with your partner! Therefore, you should certainly highlight your love for one another throughout your engagement photos. So, embrace one another, hold hands, share a few kisses, and express your love story. This will allow you to capture some truly heartfelt images. -Be Yourselves. The most efficient way to capture photos that are personal to you and your partner is by just being yourselves! Walk, talk, laugh, and act natural with one another, so that you can showcase your bond. By being yourselves, you can capture organic images that will certainly add a heartfelt appeal to your collection of photos. With a lovely set of engagement photos, you can preserve this wonderful milestone in your life beautifully! These are just a few tips to assist you with adding a dash of personalization to your own images. 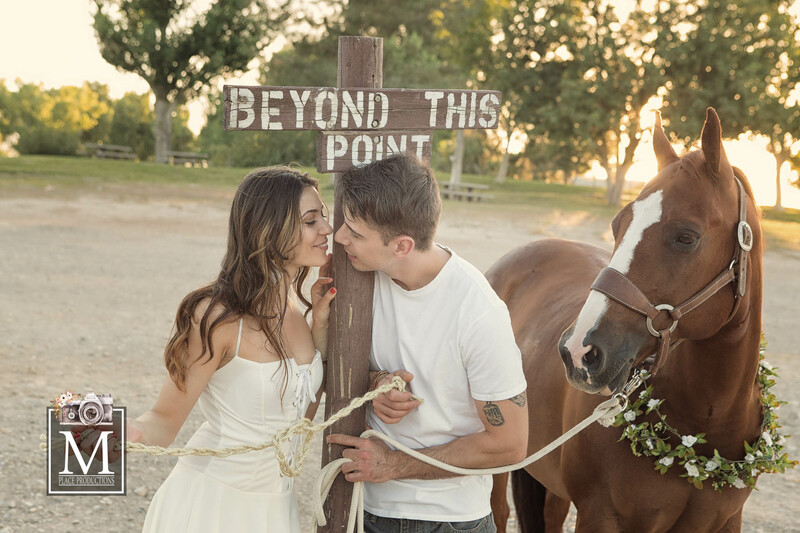 If you are ready to have your own photos captured with an engagement photographer in Las Vegas, Nevada, please contact us here at M Place Productions. As a Las Vegas engagement photographer, we would be more than thrilled with the opportunity to capture your special moments in life.